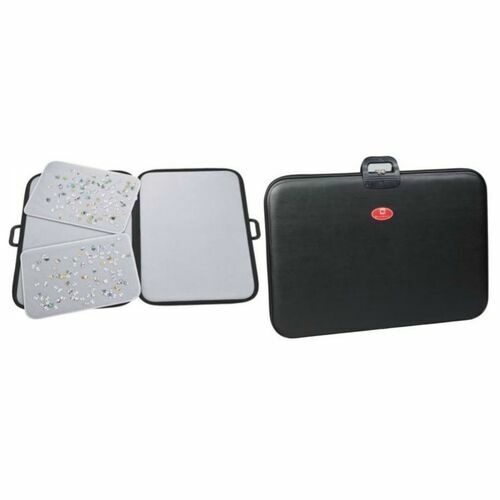 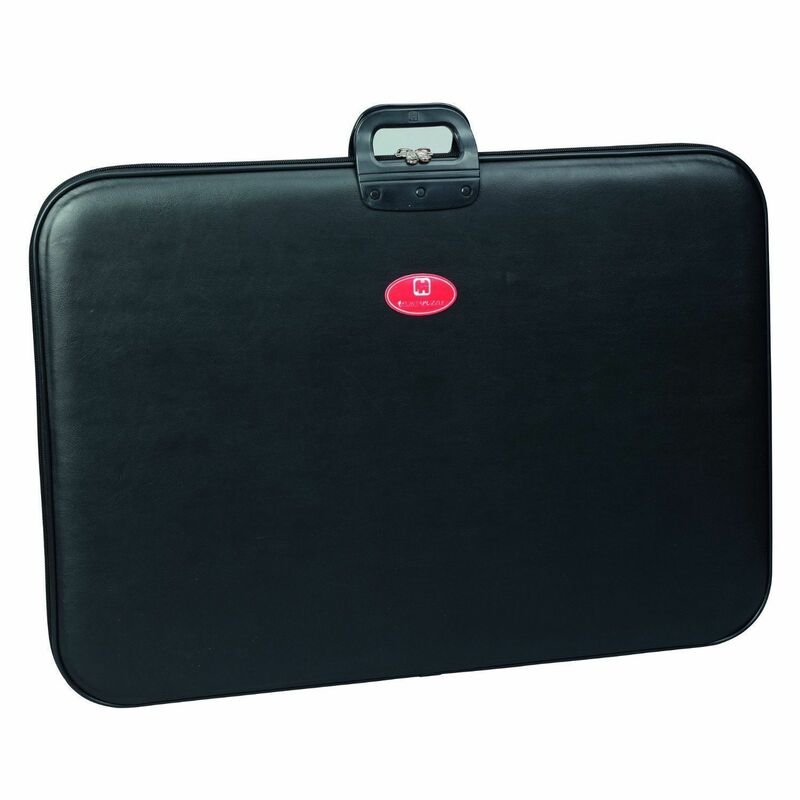 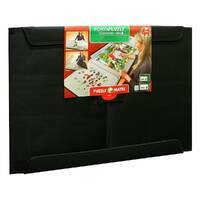 The Deluxe Portapuzzle has a wipe clean leather-look external finish, a zip around to close it up securely, and a sturdy carry handle. The special lining keeps the pieces in place and provides a rigid surface on which to work. 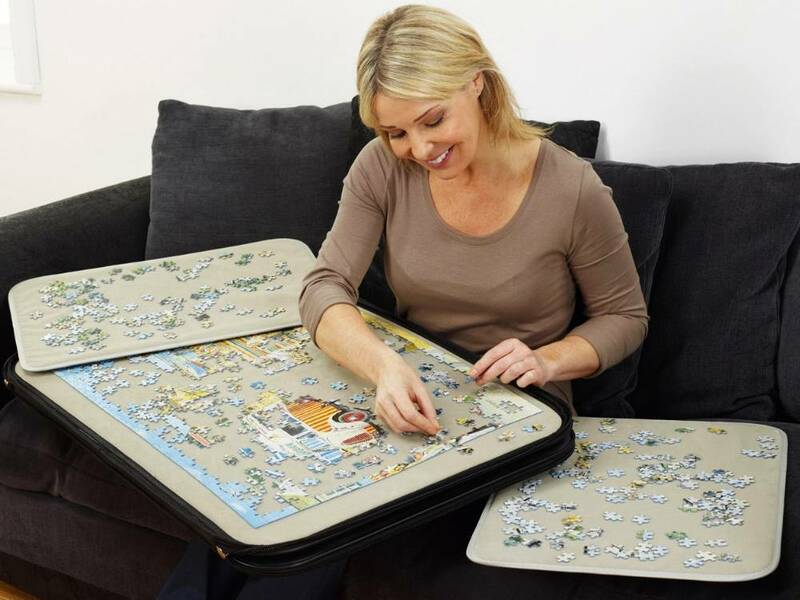 Included are two lift out panels to place loose pieces or sections of the Jigsaw on. 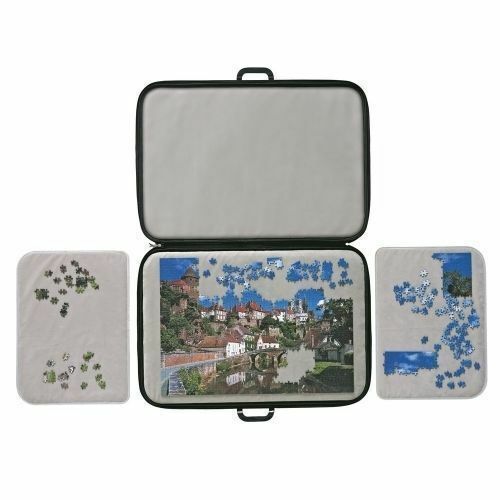 Designed to support most 1000 piece jigsaw puzzles.